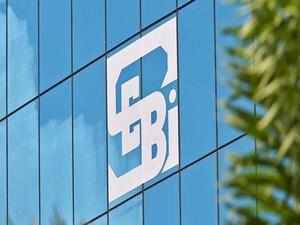 To help mitigate portfolio concentration risks in equity exchange traded funds (ETFs) and index funds, capital market regulator Sebi on Thursday asked fund houses to have a wider basket of stocks while keeping in check the weightage of top stocks of the index. In a circular issued to all mutual funds and asset management companies, Sebi said an index used for equity ETFs or index funds should have at least 10 stocks as its constituents. For a sectoral or thematic index, no single stock can have more than 35 per cent weight in the index, while this cap would be 25 per cent for other indices. Besides, the cumulative weightage of top three constituents of the index cannot be more than 65 per cent, Sebi said. The regulator further said the individual constituent of the index should have a trading frequency of at least 80 per cent and an average impact cost of 1 per cent or less over previous six months. Sebi said any ETF or Index Fund seeking to replicate a particular index has to ensure that such index complies with these norms, which the regulator said aims to address the risk related to portfolio concentration in ETFs and Index Funds. The funds would need to evaluate and ensure compliance to these norms at the end of every calendar quarter and make public on their website the updated constituents of the indices at all points of time. The issuers of all existing equity ETFs and Index Funds would need to comply with the new norms within three months. The new funds would need to submit their compliance status to Sebi before being launched.